Ksenia Avdulova does it all. And she does it with a certain grace and level of consciousness that we deeply admire. Between hosting a podcast, running a digital platform, blog and YouTube channel, and making mouth watering meals (in her Heart Bowl, of course), she is our go-to person for insight on self love and intentional living. We hope you enjoy her interview as much as we did! My name is Ksenia Avdulova and I’m a public speaker, founder of the award-nominated digital platform Breakfast Criminals, and host of Woke & Wired podcast, focusing on expanded consciousness and entrepreneurship in the digital age. Through my online content, conscious social media programs and events, I show people how to bring together their inner technology (intuition) and outer technology (social media) to get them excited to wake up every morning. 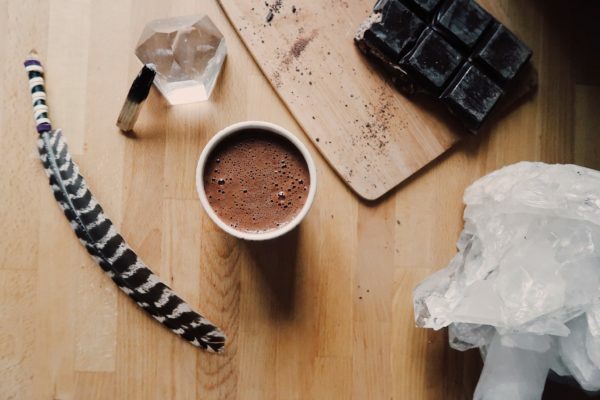 When not creating new recipes, recording podcasts and creating YouTube vlogs, I can usually be found practicing yoga, attending a cacao ceremony or packing for my next adventure. These are the steps of my morning routine. You can also watch my healthy morning routine here. 1: DETOXIFY Oil pulling, dry brushing. 2: HYDRATE Warm lemon water, celery juice. 3: NOURISH Adaptogenic latte with coffee, matcha or herbs. 4: JOY RITUAL Dance to my favorite song, do a short yoga video, go for a walk, water plants, burn palo santo or sage, clean – whatever makes me happy that morning! 5: PRESENCE Sit in silence, or try meditating with Insight Timer app (“Morning Ritual” by Jason McGrice is my favorite – Jason is an upcoming guest on Woke & Wired podcast!) or Headspace. 7: GRATITUDE Think of one thing I'm grateful for. Gratitude is the fastest way to shift your vibration. In terms of beauty, while I believe in inside out beauty (that includes your heart and what goes into your gut! ), I am a big fan of non-toxic beauty products. My day starts with a splash of cold water followed by rose water or Rosemary Toning Mist, followed by a face oil (I’m always switching it up) which I love mixing up with the Annmarie multi-purpose foundation. Wellness is not a gluten free, dairy free or a grain free diet. It’s not meditating for 10 minutes every morning. It’s not even intermittent fasting or drinking coffee or matcha with ashwagandha and MCT oil in the AM. Wellness is honoring our heritage, listening to our bodies, and feeling ease around food and fitness. Being present for ourselves and others. And adapting practices that make you feel like the best version of yourself. Sticking to those practices, and not judging when you fall off the wagon. Listen to your body. Instead of listening to wellness fads, do what feels good from your personal experience. How do you get your glow: Internally, externally? Plenty of water, taking a moment to practice my favorite rituals every day (right now it’s cacao ceremony), and moving my body. With so many health trends out there, what ones are sticking for you right now? Celery juice – my digestion loves it! What's your go to Annmarie Skin Care product? Rosemary Toning Mist in the morning and afternoon! I also am I huge fan of the Mask Treatment Bowl & Applicator Brush. I’ve always wanted a mask brush, and it’s a game-changer and reminds me to do masks more often! What's one wellness essential you can't live without right now? 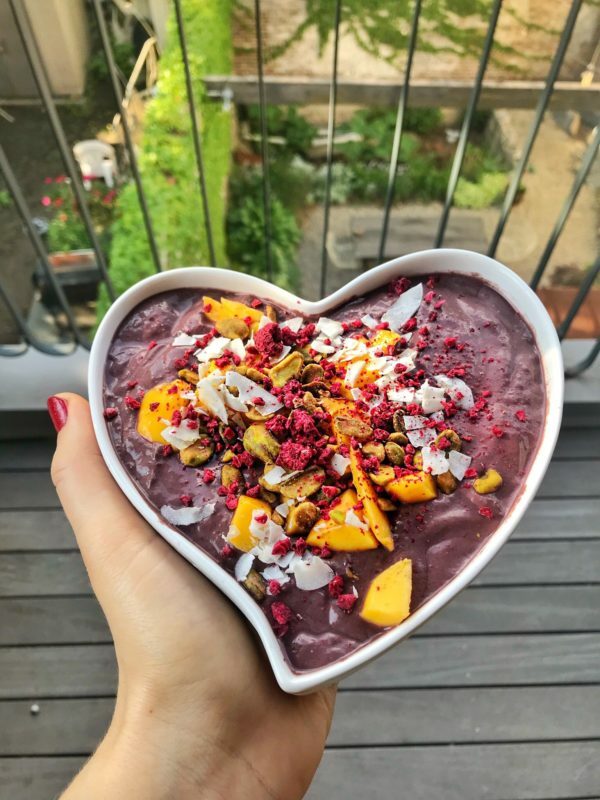 The Heart Bowl – now and always 🙂 It’s the object that started my self-love and @breakfastcriminals journey, and now is my way to spread the message of starting your day with self-love and mindful nourishment far and wide. Plus, I’m always finding creative and fun ways to give twice, and for the month of February I’m donating 10% of all purchases to Glo Good Foundation and Let Love Rule Foundation by Lenny Kravitz (who’s an owner of a heart bowl).